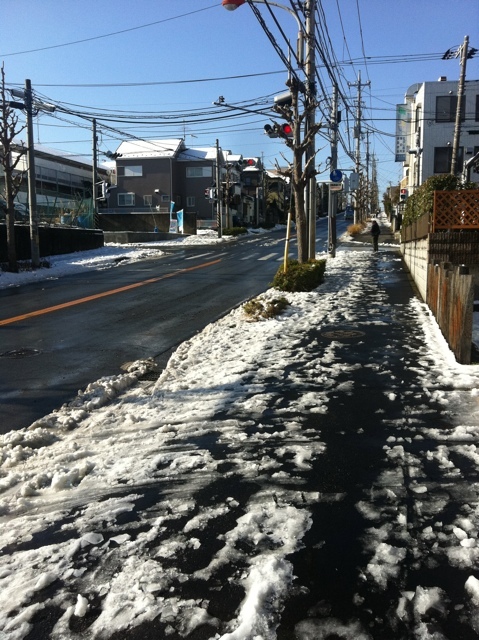 It’s been 3 days since the big snowstorm in the Tokyo area, and we still have snow and ice on the ground. Usually it’s gone within 2 or 3 days, but it’s been quite cold this week. The day after the snow, some of it was melting, resulting in another messy day. I took these pictures Tuesday morning. Snowy sidewalks and a wet street. 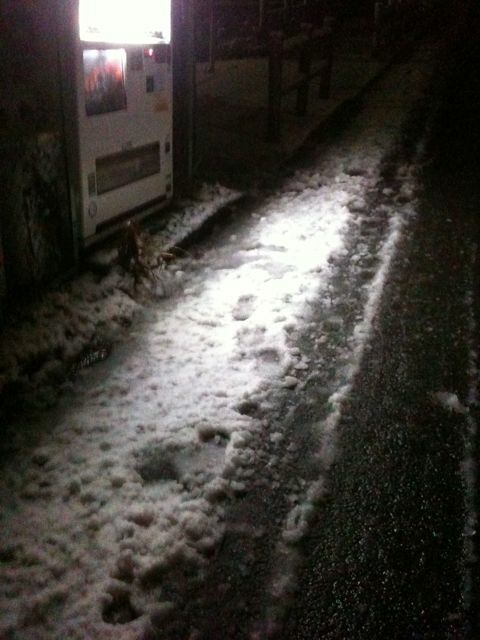 All of this wet snow and melt water froze in the evening, and it was quite dangerous just walking on the sidewalk. The melting and freezing cycle makes it difficult for people to walk, as well as drive. It’s much better now, with just a bit of ice and snow in the shadowy areas. It’s warming up this weekend, so it should be all gone soon. 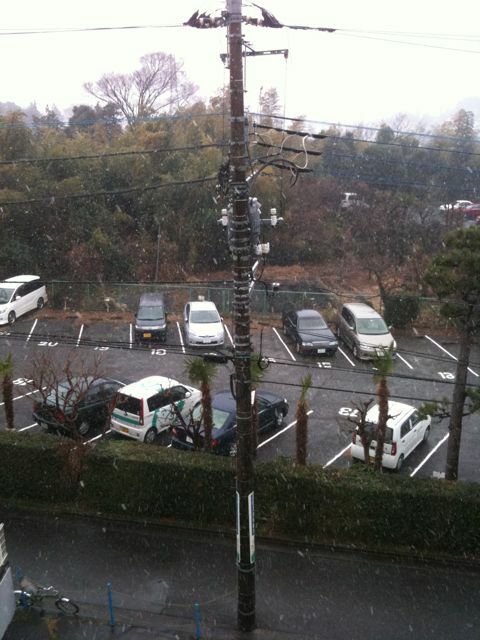 When I experienced my first snow in Yokohama, I couldn’t believe how everyone used umbrellas. I quickly realised why. This isn’t your typical Canadian snow. This stuff is wet. It sticks to you and melts right away. It’s just as bad as walking in the rain, and it’s often mixed with rain. Also, the snowflakes clump together to create massive supersized floating snow structures. Today, it snowed. It snowed a lot. 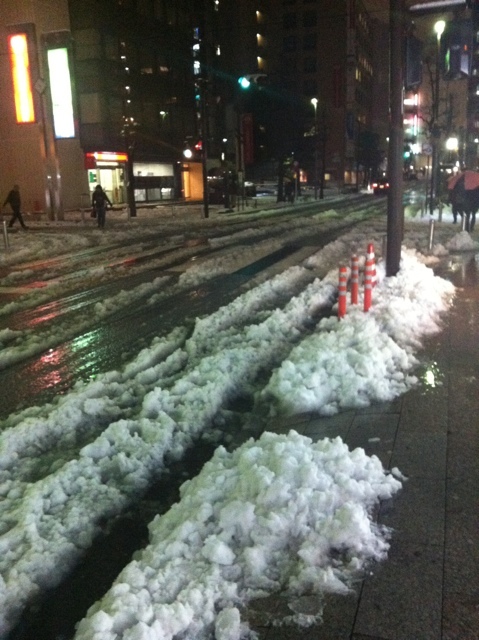 This was probably one of the biggest snowfalls I’ve seen in Yokohama. While it may not seem like much, it’s a big deal here. This morning, before the snow started to accumulate. 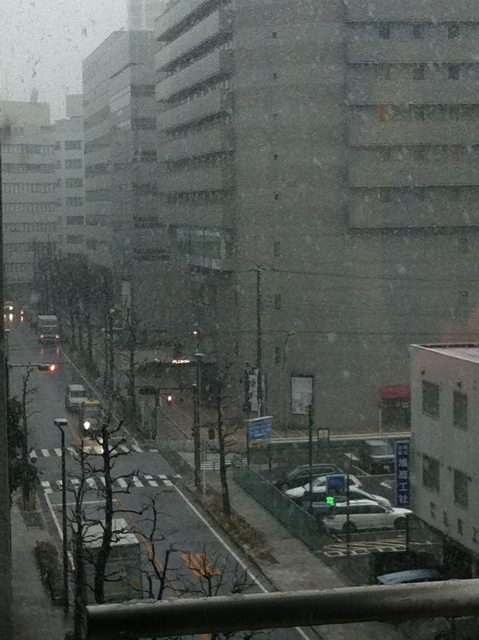 This afternoon, the snow was coming down pretty heavily. Early evening, on my way home. That last picture shows why snow here is such a nuisance. It’s extremely wet. It may look like snow, but it’s really snow coating slush. 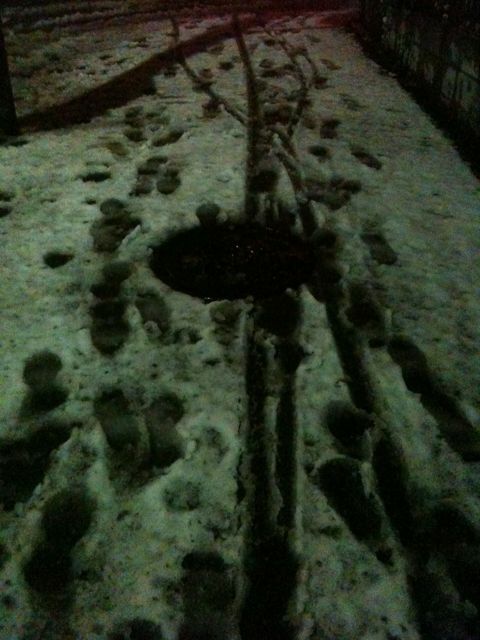 As I was crossing the street, I stepped in what appeared to be pretty solid snow, but ended up being a 10 cm deep slushy puddle with white snow on top. 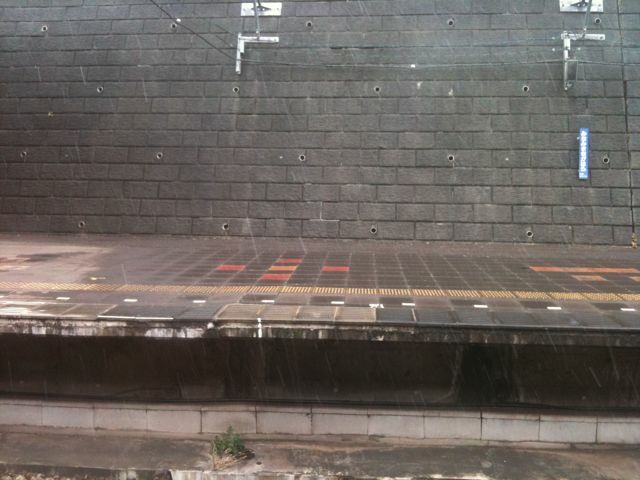 I completely soaked my feet, and had to endure a 30 minute train ride, a wait for the bus, and a 10 minute bus ride. When I got home, my feet were so cold, I took a quick shower to warm me and my feet up. I’m looking forward to several days of sunny weather. 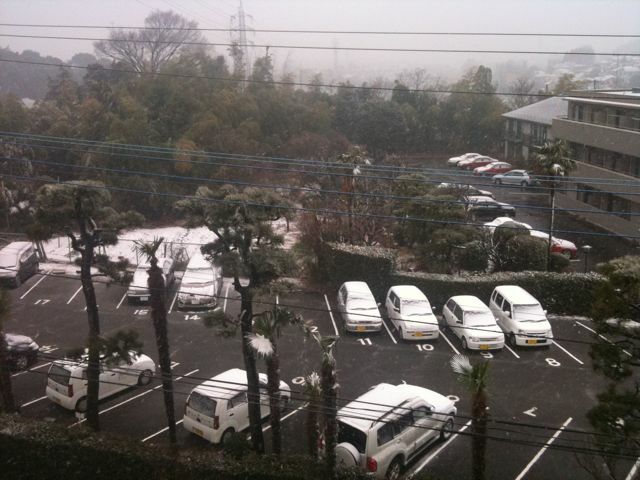 This has been one of the coldest winters in Japan in 26 years, from what I’ve heard. It’s the coldest I’ve experienced. We’ve had several snowy days this winter. February 29th was the snowiest. 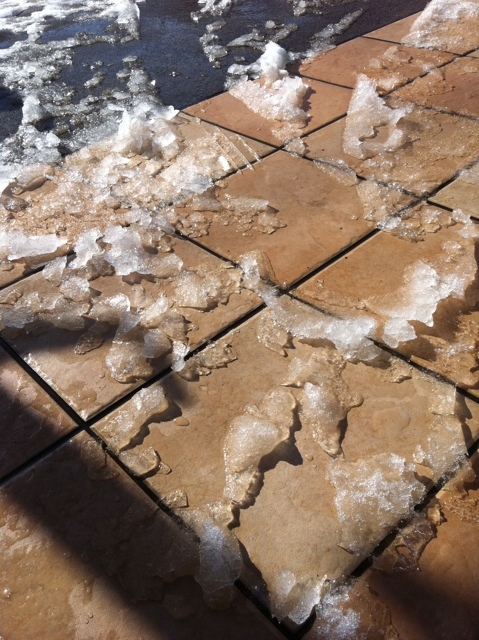 This picture shows the wet snow that fell much of the morning and afternoon. March 1st was warm, though. Almost all gone within a day. The wet snow sticks to everything! Today was our first snow of the year. 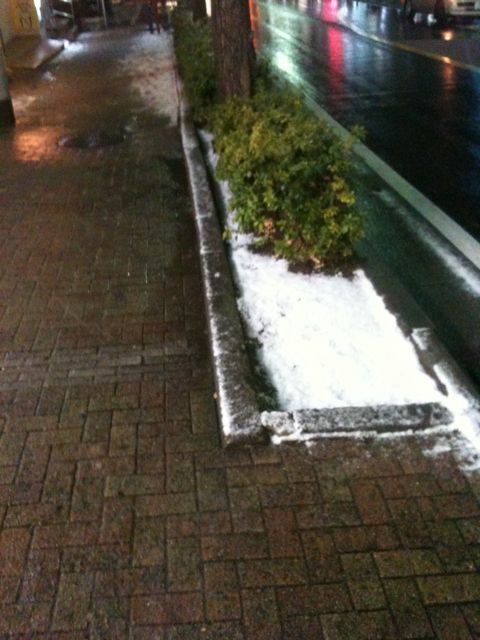 In Fujisawa, it snowed, but it didn’t stick around at all. 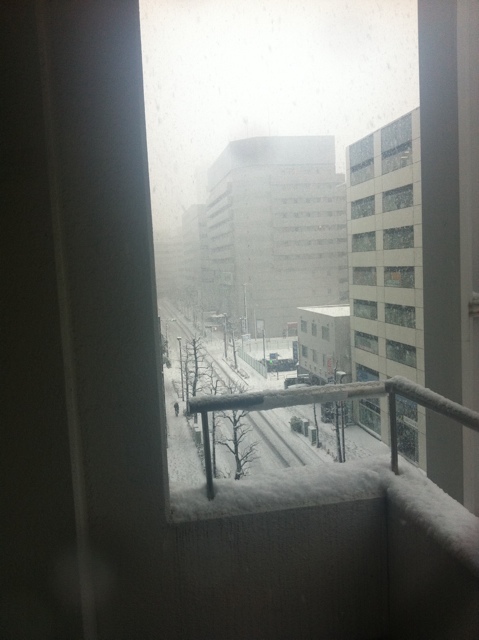 However, when I got to work, I was surprised that the snow was staying around in Yokohama. In fact, it stayed all day! Snowy rooftops from my classroom window. 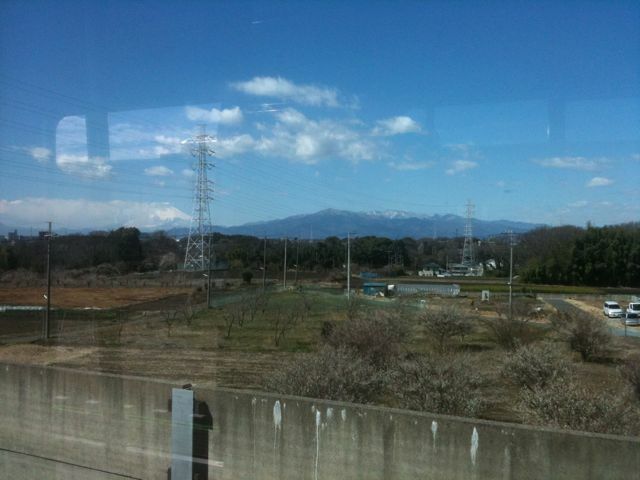 These two pictures were taken from the train at Yumegaoka Station. The first one was from yesterday, and the second was this morning. The air was incredibly clear, so I had an amazing view of Mt Fuji. I need to start bringing my digital camera with me. 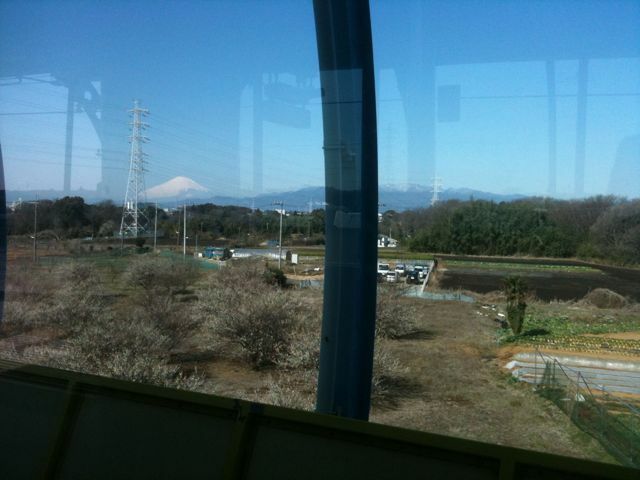 Mt Fuji appears much smaller in the pictures than how it actually looks in person. The nearby mountains are the Tanzawa-Oyama Mountains, which I have visited before. 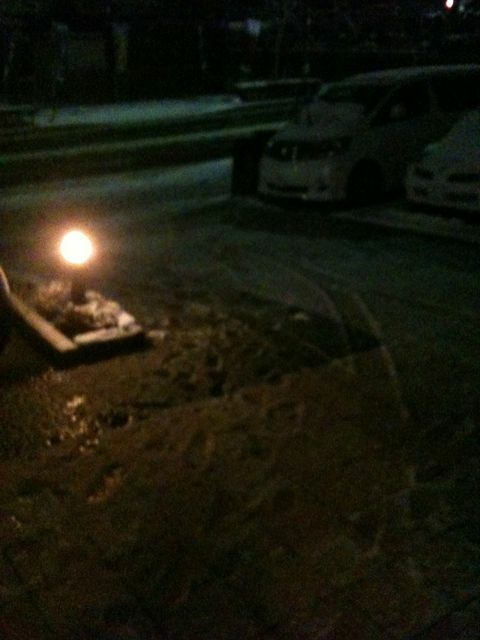 It’s snowing again tonight. The snow has melted a bit, and it’s now a very wet slush. Very messy! 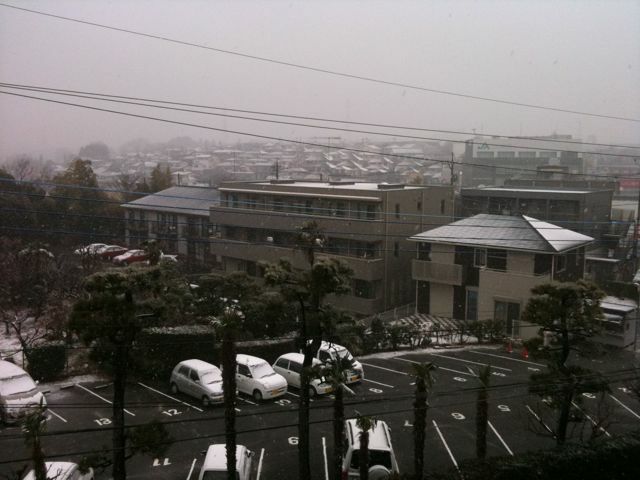 A few days after I posted pictures about palm trees and our subtropical climate in Kanagawa, we got a day of snow! 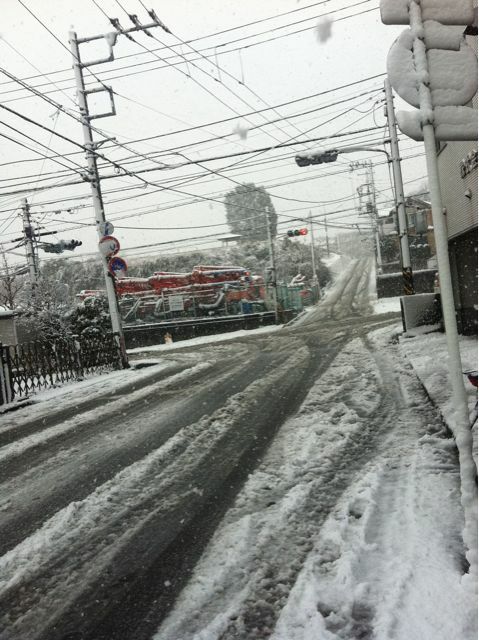 All across the Kanto area, snow fell much of yesterday. 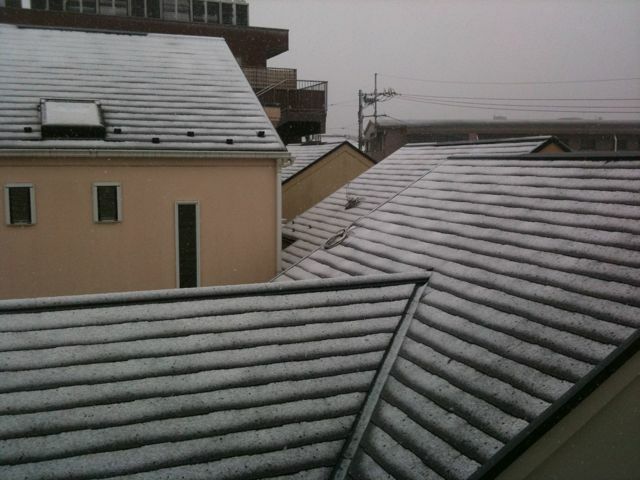 It was very wet snow, and at first, it didn’t stay around on the ground or rooftops. However, some did accumulate. As of this moment, it has melted, and is currently raining. But, here are the pictures I took yesterday and one from today. 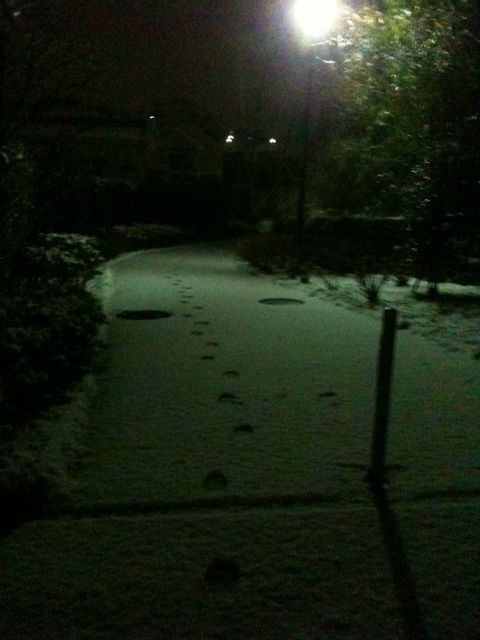 The snow is hard to see with an iPhone, but you can see the faint lines. 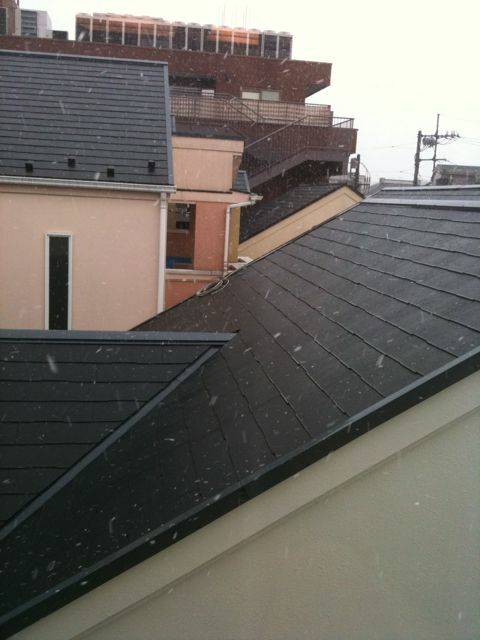 The snow is falling, and the rooftops are wet. Look at that snow coming down! 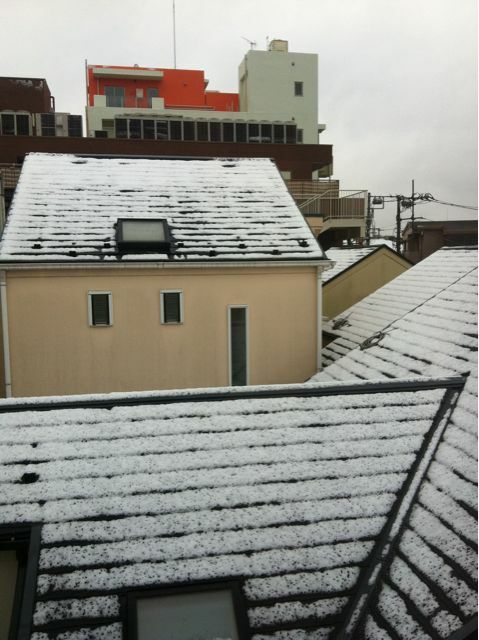 The snow is finally accumulating on the rooftops. The snow is sticking around for a while. A bit later, in a slightly different direction, there's even more snow. 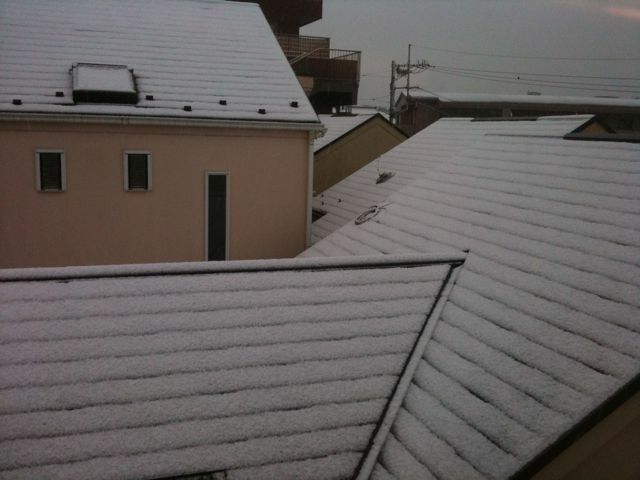 The roofs are all white! On my way home in the evening, there's a closer look at the snow. This was from earlier today, while I was going to work. 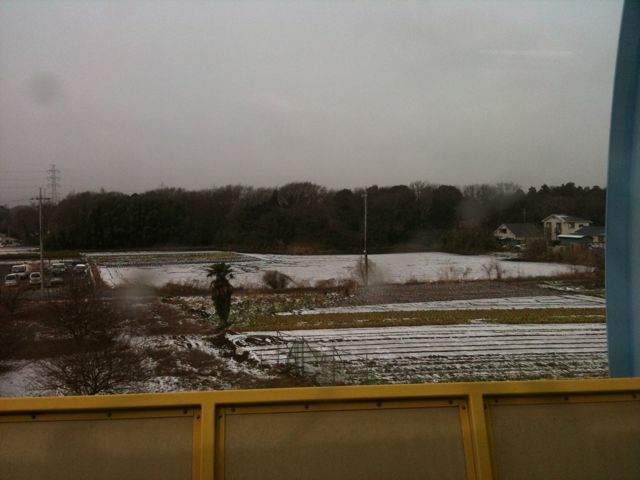 This picture was taken from the train at Yumegaoka Station. It’s now late at night, and all the snow is gone. That’s pretty typical of the snow around here. It snowed a bit today, but it turned into rain. Tomorrow will be sunny. This may be the last of the snow this year, but who knows? This post is taking part in the weekly “Show Me Japan” at Budget Trouble.